Well, 2013 was not a great year in terms of meeting any of my goals. A ridiculous concussion with a unique healing-turned-into-migraine-cycle, followed by drugs that didn't really help, made for a pretty blah year in terms of getting things done. It was a real bummer as I spent 2012 working hard to get in shape (Couch to 5K and Yoga) and read lots. So, now, at the end of 2013, I am kind of back to where I was a few years ago. But when I look back, I learned lots. I am not good at slowing down and the Concussion Year forced me to do that (since I had nothing else to do). I realized that the goals aren't really so important. Having a time in my life that I couldn't read, work or exercise was fascinating. I really had nothing to do as I don't have many hobbies not related to reading, work or computers. So, it forced me to take a break and to think about what I love and how I want to spend my time. During my first week of the concussion rest, I told a friend that I thought God was telling me I needed to rest. She said, "He has been trying to tell you that for a while. You just weren't listening." Good friends say what you need to hear, I guess. Anyway, going into 2013, I am just celebrating the fact that I can read again. And I can exercise again. And I can work a lot again. And I can write again. I do love work. But I did learn that I also love rest. And I learned that I haven't been taking care of my own learning. And I learned that I got so busy that I didn't even realize it. And I realized that once I had to quit all of the ongoing projects I was involved in, it was okay. As you can see from the list below, it isn't so balanced. I am really committing to a year of my own professional learning and that seems to take up most of my space here. Visually, it looks unbalanced but I feel like I need a year like this while still fitting the other important things in. So, this year, I want to read. I want to read more for me. I think I got so caught up in reading the newest books for my students, in reading the books that might win awards, in reading the books I thought I should, that I stopped reading YA and Adult Fiction that I love. I want to make a bit more time for that. My life is better when I'm reading. And I want to use the library more. I am really bad about buying books I then don't really need. I love owning books but clearly have too many. When we got married, my husband told me that buying books was never something that would be a problem--you could never own too many books. Well, he had no idea what that could become and I find myself with lots of books that I've read but don't necessarily need or want to own. And the number of books I own is getting to be overwhelming to say the least. So, I am going to try to use the library more often. It is right next door to my school and they have a great collection so there is really no excuse not to. My own learning is going to be a goal for 2014. I have been in the classroom for 27 years and it is easy to burn out of this job without constantly learning, changing and growing. I have been so lucky to be part of lots of professional groups of people who are committed to learning and growing as educators. Over the last several years, I've done lots of consulting and fit in my own learning when possible. When I had my concussion and had to cancel lots of my consulting work, I realized how much my own learning just kind of tagged along with my consulting work. I very seldom went to conferences over the last few years without presenting, etc. And I missed just being places as a learner. I love the consulting work and learn so much from that, but I realized in 2013, that I had lost my balance. Here is what I have planned for 2014. I plan to attend several conferences over the year . A balance of topics and types of conferences. At some, I'll be presenting a bit and at others I'll attend with no responsibilities. Here is what is on my professional conference plan. OETC -Ohio Educational Technology Conference--I'll attend this one for one day and do a one hour session on digital learning at the conference. The rest of the day will be dedicated to my learning. 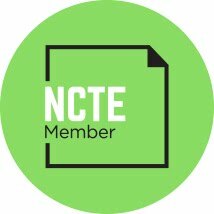 I've been busy with my NCTE work over the last several years and because of that I've missed our state OCTELA Conference. This year, I'll be able to attend for a day and do a one hour session. This has always been one of my favorite conferences and I'm looking forward to getting back to it. MRA will be a conference that I attend just for me and for fun. Driving with colleagues, having the weekend of learning is always a treat. I'm looking forward to the second part in our yearlong Literacy Connection study. Ruth Ayres' visit in the fall was a highlight and I am looking forward to her April session! I'll be doing a few sessions at this year's All Write conference, one that I was SO SAD to miss last year because of my concussion. This is definitely a favorite for so many reasons. ISTE is one that I am thinking about attending. It isn't a conference I'd attend every year but one I'd like to attend once in a while and it is in Atlanta this year. If I can get organized to get there, I'm planning on it. And of course, I can't wait for NerdcampMI! Nerdcamp was one of my favorite days in 2013--from the moment we got in the car until the moment we got home, we had a great time. The team ran an amazing day and I'm looking forward to one that is a day and 1/2 this year. I'll be speaking at this year's Ohio Innovative Learning Environments Conference. This is an amazing week of learning and I'm excited to be part of it. I'm also planning on revisiting professional books to really dig into the classroom piece a bit. With 4 years out of the classroom and a year in 4th grade, it is taking me a little while to learn what works in a 3rd grade classroom. Now that I've had some time, I want to tweak a few things and learn a bit more as this age is so different than 4th. I'll also be finishing the NCTE book I am writing with Bill Bass. This is a great learning experience. The book is on Digital Literacy: What's Essential? and it is really helping me think through what I understand about literacy and the ways tools are changing things. I'll be teaching a few Choice Literacy Online Workshops (The Tech Savvy Literacy Teacher and Text Complexity in Grades 3-5). I just started these last year and I love the online learning format. 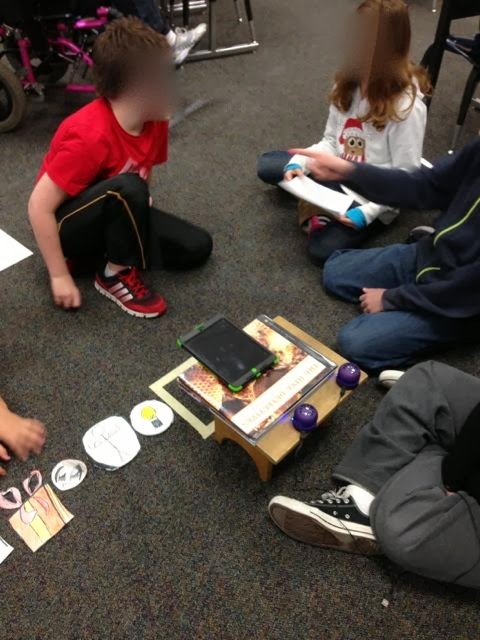 I love how groups come together online to learn around a topic and I love thinking about these topics with other educators. So, I have always been fascinated by people who have a word for the year. I haven't really had one of those as I could never think of the right one. But I think I have one for 2014. I was looking for one and have been pondering my need to "get things done", plan ahead, etc. I never seem to just enjoy what I am doing as I am always worried about or thinking about what's next or what I don't have done or how behind I am. Nerdlution has been good for me. Even though I have been on a 10 day nerdlution-vacation. It helped me see that I do need breaks and balance. And that I have to be careful not to think too far ahead. Mary Lee posted this link to the #nerdlution Twitter group this week and it said a lot to me. So my word for 2014 is going to be TODAY. I am going to try really really really hard to not stress about all that is coming my way and enjoy each day whether it is a day full of work, rest, friends, exercise, whatever. I love my days but so often I get caught up on what's next or what I didn't get done, that I don't enjoy the day or what I am currently doing as much as I should. Each day is different and TODAY seems like a good word for me for 2014. On November 30, the wonderful Suzanne Gibbs of the blog Finding Fourth Grade awarded me with a Sunshine Award. I was so excited an honored. It took me a while to pull together the answers to the questions, etc. but here they are--a month late. Post 11 questions for the bloggers you nominate to answer and let all the bloggers know they have been nominated. (You cannot nominate the blogger who nominated you. “special part” as head angel which took me out of the choir. I married my husband who hates them. as my mother and my grandmother. 4-My favorite kind of ice cream is grape from Handel’s. he thought I would grow up to cook like them. He was wrong. 6-I have attempted to find hobbies for years with no luck. 8- My favorite holidays are those that involve presents. money for a children’s home in our city. for one day during the production of Light of Day which earned me a credit. 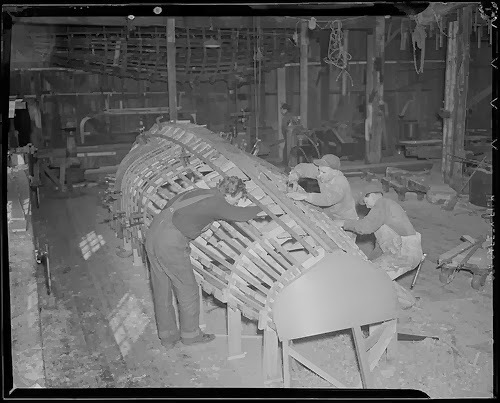 Mary Lee suggested it and I trust her. Do you prefer warm or cold weather? Any reason for that? Have you (and/or your family) decorated for the holidays yet? Why or why not? Yes, every year while I am at NCTE, my husband decorates for the holidays. Not sure how this tradition started but we like to enjoy the tree for a while before Christmas and then we take it down right after. Whom would you say is the ONE person in history you admire the most and why? I am inspired by all of the women in history who did things outside of what was expected/allowed at the time. If you could recommend only one book to someone to read, what would it be? What is one thing on your "bucket list" not many people - or maybe no one - knows about? To live in a big city. What's the most relaxing vacation you've been on? Who brings you the most joy in your life? If you could give a lot of money to one organization, which one would it be and why? 1-Stephanie Shouldis at Books, Interventions and More! 1 1- What is the best thing that happened to you this week? 2 2- What is your favorite book of 2013? 3 3-Which TV shows do you watch regularly? 4 4-What is the thing you are most excited about for 2014? 5 5-Do you have any pets? 6 6-Is your favorite meal breakfast, lunch or dinner? Why? 7 7-What’s was a favorite childhood book? 8 8- Do you make New Year’s Resolutions? 9 9-What’s a favorite movie? 1 10- What’s one thing you love to do when you have free time? 1 11- Who is an author you’d love to meet? I didn't go into #bookaday thinking I'd actually read a book a day but I'm actually close to having read a book a day and they are longer books that I've been hoping to read for a while. Here is this week's reading. It has been so nice to catch up. I think I'll end 2013 totally behind in my reading life, but at least I got back to it over break. So glad that Jen and Kellee created this great Monday blog tradition. Visit their blogs for the link-ups! 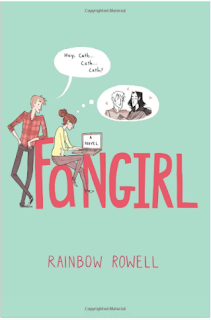 Fangirl is definitely one of my favorite books of the year. For days after I finished, I kept thinking about the characters and wishing I wasn't finished. I read it in 2 sittings (night before bed and early, early morning.) A great read. I read Eleanor and Park earlier this year and loved it. 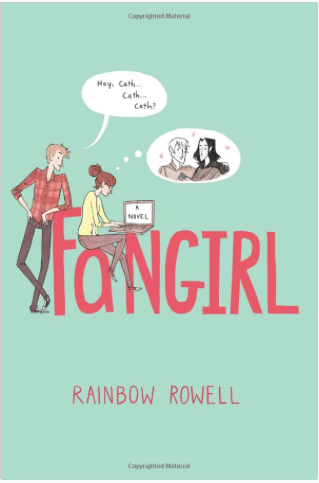 This one is just as wonderful in a very different way Rainbow Rowell is my new author hero. So glad to have discovered her in 2013! Africa Is My Home: A Child of the Amistad by Monica Edinger was another highlight of my reading week. 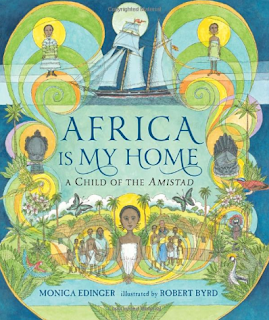 I have to admit that I knew very little about the Amistad but Monica Edinger made me care deeply about this event in history and the children who were involved. A fascinating story that I am so glad to have read. It is probably one I will reread as it is amazingly brilliant. I met author Erin Soderberg at #ncte13. 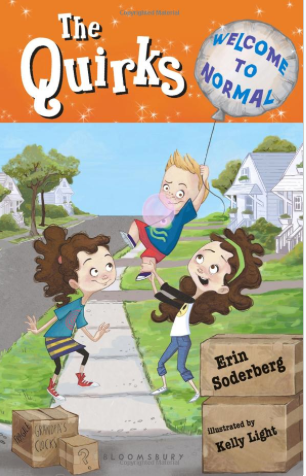 Because I've been so far behind on my reading, her new book The Quirks: Welcome to Normal has been on my stack. 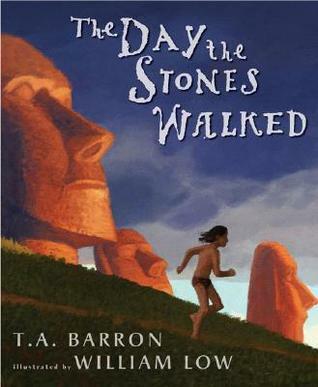 I ended up reading it as one of my #bookaday books and loved it. It is a fun new series about a family with unique "quirks". They move to a very normal town and try to fit in. This book had everything in it that I loved about stories when I was younger. That whole idea that something magical could be happening. The Littles, The Borrowers, Mrs. Piggle-Wiggle, I Dream of Jeanie, Escape to Witch Mountain and Bewitched were some of my favorite. I got that same feeling when I read this--loving the idea that someone I know may have magical powers! 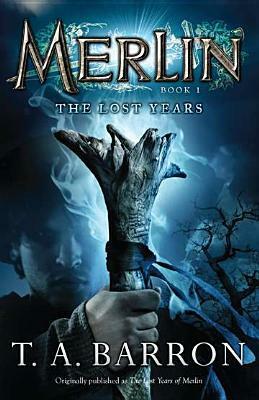 This is a new series and the 2nd is due out in February. I think it is perfect for grades 3 and 4. I can't wait to share this one with my students! Cold Spell (Fairy Tale Retelling) by Jackson Pearce --I love fairy tales, especially Snow Queen books since I read Breadcrumbs. 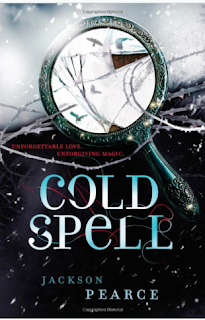 This is a fun YA version of the Snow Queen and it was a fun, quick read! I'll definitely read more by this author. And right now, I am in the middle of Winger . Amazing read. I wasn't able to read it in a day but I am loving it and so glad I fit it in over break! Thanks to Ruth Ayres for this wonderful Saturday tradition! Visit her blog for this week's link up! Lots to celebrate this week! #1 Christmas! It was a relaxing day with family. The girls are both older but it was a different kind of fun working together in the kitchen to get things ready, to clean up, etc. #2 I made a few cookie boxes. I didn't bake as much as I usually do at Christmastime but I did make a few boxes of cookies. I discovered this box-decorating craft during my concussion-craft months and it is the only one I've continued to enjoy. Little boxes of cookies = happy! #3 I seem to have my reading life back. Thanks to Donalyn for her #bookaday challenge. I didn't really think I could do it but I have read 7 pretty amazing (and not so short) books. I won't meet my Goodreads Challenge this year, but have LOVED catching up on my reading. And I have loved the books I've read so far. I'm so far behind in 2013 reading but it is nice to read books I've had on my TBR list. Life is never as good when I'm not in the middle of a book. So glad to be back to reading after a long rut. #4 Having two dogs in quite a challenge. Especially two dogs that don't like each other at all. But, our puppy does look cute in dorky outfits. Arnie has such a different personality than our older dog, Chloe. It seems fitting to dress him up, take him to see Santa and buy him new toys. My daughter thinks he will need his own closet soon. #5 I love being home. I love days to just hang out at home. That is pretty much what we are doing for most of this winter break. It's the last Poetry Friday of the year, and I celebrate our community! What a blessing to spend the 52nd Friday of the year with YOU, and with POETRY! Leave your link in the comments, and I'll round you up into the post in between cooking for Mom so that she has leftovers in the freezer for the months to come (and making a pan of Browned Butter and Sea Salt Rice Crispy Treats in spite of all of the other holiday goodies that beg to be nibbled), playing hours-long games of Sequence at the kitchen table while chatting about nothing in particular, long walks in the ol' hometown while listening to my current audiobook, The Goldfinch , and other assorted thises and thats Mom finds for me to do. Last summer, Eva of the Farm (also by Dia Calhoun) made a brief Poetry Friday appearance with a whole group of other verse novels. I love the spunky character of Eva, who saves her family's farm -- an apple orchard in north central Washington -- with her art and poetry. In this companion verse novel, Eva helps Eckhart Lyon to heal his heart. Eckhart's parents were killed in a white water rafting accident and he has come to live with his curmudgeonly Uncle Albert whose orchards are next to Eva's family's. Eckhart's passion for the story of King Arthur frames his quest for a permanent home and redemption for his parents' deaths, and helps to forge a connection between him and Eva. In a satisfying conclusion, even Uncle Albert finds a much-needed peace. ...and Robyn shares the Winter Poem Swap Keri wrote for her at Life on the Deckle Edge. Jone has a poetry pairing at Check it Out. 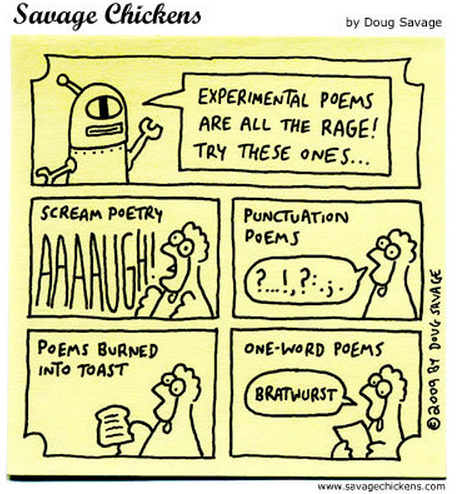 Myra, at Gathering Books, shares a poem to fill a hungry soul. Charles, at Father Goose, has his eye on snowflakes. Diane has another winter poem swap poem to share at Random Noodling -- the one Margaret wrote for her. Kurious Kitty shares a Denise Levertov poem for the new year. At KK's Kwotes, there's a quote from Douglas Kornfeld. At Today's Little Ditty, Michelle has a Five for Friday Celebration for the new year. 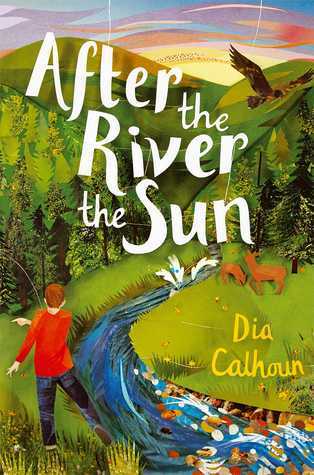 Dia Calhoun, author of the verse novel After the River the Sun (reviewed above), shares an excerpt to further tempt you to read this fabulous book! Julie, at The Drift Record, has images by the Finnish painter, Elin Kleopatra Danielson-Gambogi, and a poem by Jane Kenyon. 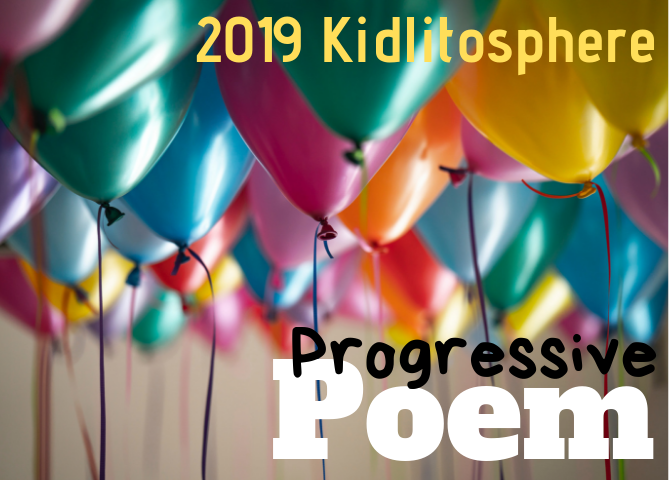 At The Opposite of Indifference, Tabatha shares two poems by Emily Dickinson. Margaret is sharing one of the poems from her "10 Poems Over Break" personal challenge at Reflections on the Teche. At The Drawer, MM Socks has a poem about crows. Donna give Spiny Pine his own poem over at Mainely Write. 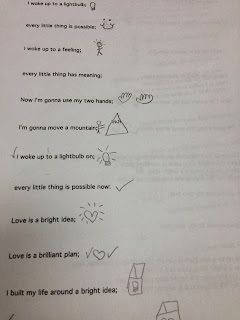 Betsy has some "little bits" for us today at I Think in Poems. 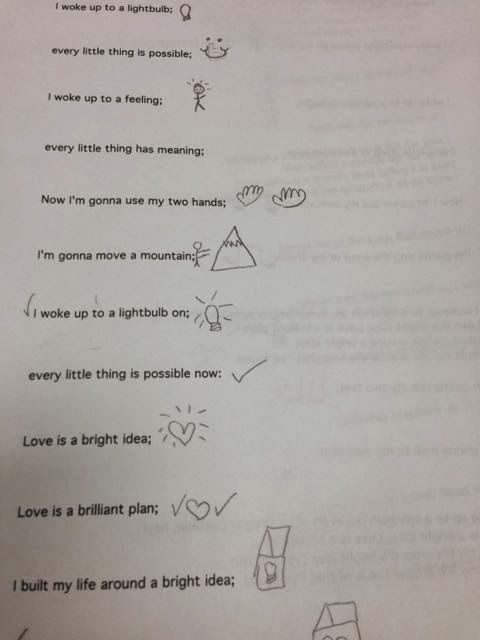 Lori is flying high with her haiku at On Point. It was a quiet roundup this week. If you've got something to add tomorrow or Sunday, the roundup offer does not expire. Later this weekend, I'll update the roundup calendar. Stay tuned. Love this Monday tradition hosted by Teach Mentor Texts. 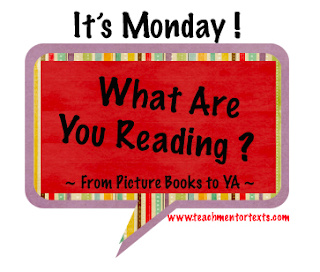 Visit their blog to see what others are reading this week! 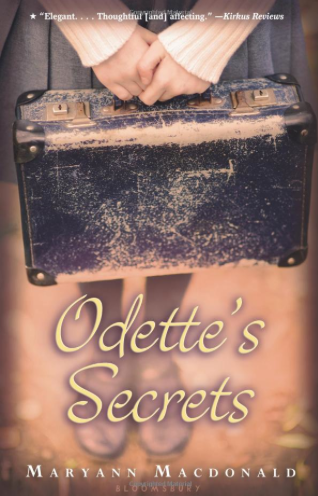 Odette's Secrets is a great novel in verse. A great addition to any collection of Holocaust books for children. This one is based on a true story and is accessible for upper elementary/middle grade students. 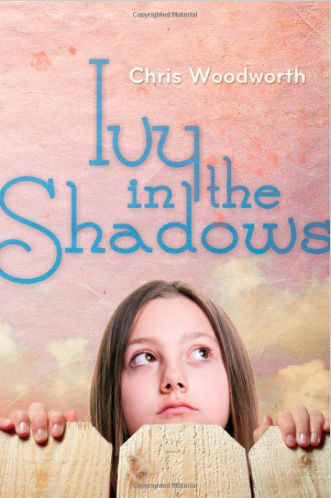 Ivy in the Shadows seems to be a good story for middle school kids. Ivy is going through a hard time as her father just left and her mother has to find a full-time job. Lots of real life middle school issues in this one but nothing too big. 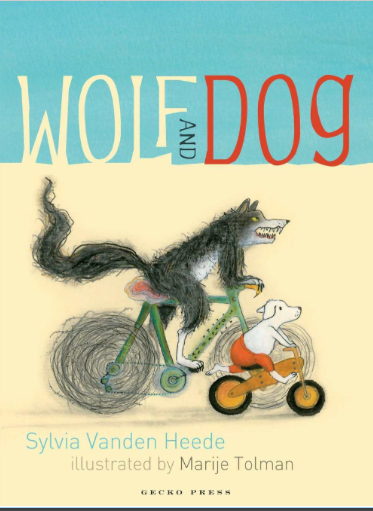 Wolf and Dog (Gecko Press Titles) is a novel in verse about two friends. This book--the story, the friendship and the voice--reminded me a bit of Frog and Toad. 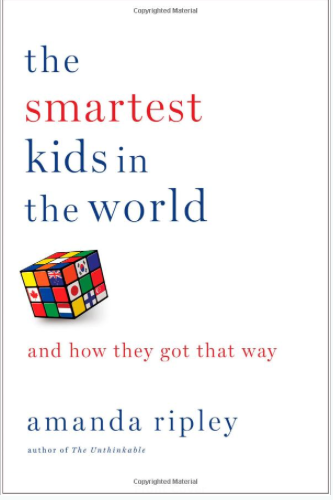 The Smartest Kids in the World: And How They Got That Way is one I am listening to, so it may take me a while. But this is a fascinating read in that it is told in a kind of narrative--in a way that helps us see the differences between US's educational system and others. It follows three American exchange students and we learn different things from each one. So glad I discovered this one. This is week 10 of the habit of keeping an eye out all week long for what we'll celebrate with Ruth and the others who link up at ruth ayres writes. There was no question in my mind what I would celebrate this week. I emailed Franki immediately and claimed the Celebration Post for this week. I wanted to celebrate the last day before Holiday Break. No, not because it was the last day before break (...okay, maybe a little), but because of what we did and the feeling we left with. 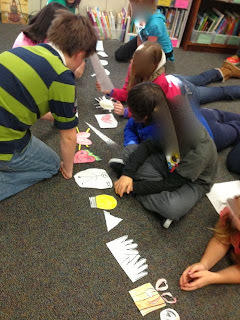 After break, our fifth graders are going to be doing persuasive presentations on the topic of their choice. My students have worked with Keynote, so I wanted them to have another tool from which to choose for the way they would present their argument. Common Craft videos seem like they'd work. But before jumping in and doing it with their persuasive topic, I knew they would need to experience the process themselves. I decided we would make a Common Craft music video on the morning of the last day before break. They were motivated and focused. They worked really hard. They collaborated without arguing. I got to do that thing where you get them started and then step back and watch them take over and make it happen. Leaders emerged. Followers willingly followed. Not that my heart was Grinchily small to start with, but I did have a "heart growing two sizes and breaking the frame" moment as I watched them work, and when we celebrated our success at the end of 2 hours. 6. practice, problem-solve, practice, teacher messes up, practice, success! Poetry Friday -- Poets Laureate -- And a GIVEAWAY! Kay Ryan's newest collection, The Best of It: New and Selected Poems, First Edition, hardback. So here's where we get to the give-away. I already own Kay Ryan's new collection...in paperback. Since I have a signed (first edition) hardback, I think YOU should have the paperback edition! Sunday night, I'll randomly choose from the commenters and I'll send it to YOU! Updated: Sunday, 9:17 PM. 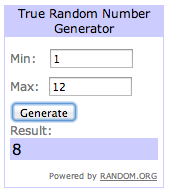 The random number generator at random.org picked #8, which is Violet Nesdoly! You are the winner of the Kay Ryan book! 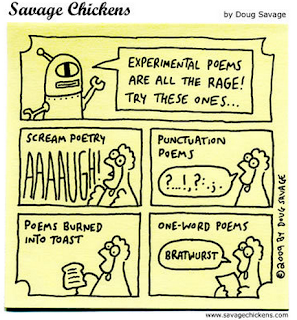 Buffy has the Poetry Friday Roundup this week at Buffy's Blog. Two dates are One date is left on Check out the roundup calendar for the next 6 months!! Now that the calendar is complete, I'll put the html code in the files on the Kidlitosphere Yahoo group and into the calendar there, and send the dates to the Kidlitosphere web page webmistress. Shoot me an email if you want me to send you the code for your blog's sidebar. Recently, we got the nicest email through the blog. It was from author T.A. Barron, thanking us for our work with children and all we do on our blog to get great books into the hands of teachers and kids. But the thing that most caught my eye in this big box of goodies was the flier for the Gloria Barron Prize for Young Heroes. This prize, named for Barron's mother, honors twenty-five young people every year for the work they've done to make our world a better place. 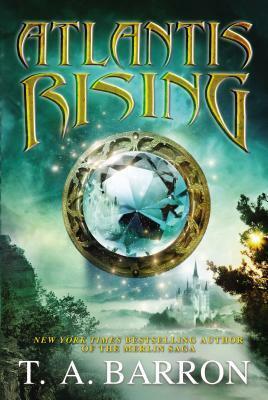 The heroism of a character in a book of fantasy might seem like just a story, but T.A. Barron shows us that heroism is alive and well and embodied in young people from every corner of the country and every walk of life. His book The Hero's Trail also provides true stories of every day heroism. What if each of us instituted a prize in our school or community to recognize the brave and important things that the young ones we work with make happen? I'm thinking of the fifth grader in my class who has single-handedly started a student council in our building. Or the third graders that raised money for diabetes when their classmate was diagnosed. We need to hold these kids up, publicly recognize them, and thank them for their vision and passion. Thank you, T.A. Barron for your books, and for reminding us to celebrate our young heroes! Have You Registered for World Read Aloud Day? Thankful For the Public Library!